Shadow signals the powerful return of Chinese director Zhang Yimou to the wuxia epics, whose fanciful conception he dominates from top to bottom. The veteran filmmaker, whose extensive filmography includes masterpieces such as Raise the Red Lantern (1991) and To Live (1994), collaborated with Wei Li in the script of this fabulous tale set during the Three Kingdom era. The selfish, presumptuous, and short-tempered King of Pei (Zheng Kai) is worried about the advancements of General Yang (Hu Jun), an unbeatable warrior who already took the neighbor city of Jingzhou. For his defense, the king relies on the high-ranked Commander Yu (Deng Chao), a quick-witted spearman whose true identity is Jing. Essentially, the plebeian Jing is the ‘shadow’ of the real Yu, meaning that he has been trained in an intensive way to become his double since he was rescued from the streets 20 years before. Jing is confident that he can beat General Yang in a duel. However, the gutless King opts for a different strategy, offering his sister (Guan Xiaotong) in marriage. The future husband would be Yang’s insolent son, Ping (Leo Wu), who insults the princess by proposing an alternative solution: to take her as a concubine. Jing is demoted of his duties for disobeying the king’s orders, and still, he doesn’t give up the idea of duelling Yang. Yu keeps on training him and fortuitously finds the pathway to victory through a smart tactic suggested by his wife, Madam (Sun Li). Entailing dramatic tension, especially with the forbidden love between Jing and Madam, the film then segues into spectacular battles, complemented by terrific musical moments and a broad sense of uncertainty. The physical confrontations take the shape of balletic dances, meticulously choreographed with whirlingly lethal umbrellas in the mix. Visually, it never ceases to dazzle our eyes, either through the quasi-monochromatic canvases displaying misty Chinese landscapes or the ingenious costume design. Shadow is a sumptuous sensory feast filled with spectacle, surprise, and madness. The work of some distinguished directors loses the charm and often the focus when they operate in a different cultural milieu. This syndrome seems to have caught Iranian master Asghar Farhadi, who gave us gems like About Elly (2009), A Separation (2011), and The Salesman (2016). Sad to say he stains his filmography with Nobody Knows, a fictional thriller set in Spain that unfolds monotonously and only sporadically piques our interest. Orienting a luxurious cast that includes Javier Bardem, Penelope Cruz and Ricardo Darin, Farhadi failed to provide startles and thrills, relying solely on the dramatic side of things to impress. But even that factor was disastrous as he tiresomely attempts to suggest connections between the past and the present. All the same, the only one with the financial means to resolve the imbroglio is Paco (Bardem), Laura’s former lover, who is well established as a local vineyard owner. Intriguingly, Paco’s wife, Bea (Bárbara Lennie), receives the same warnings from the kidnappers. Secrets are unveiled slowly and unsavorily, while the drama becomes a disorganized spiral of affective manipulations. Embracing a gritty social realism, The Family is the most interesting drama coming from Venezuela since Bad Hair (2014). First-time director Gustavo Rondon Cordova takes an attentive look at a shattered South American country, currently facing political turmoil, criminality, hunger, and despair. Centered on father and son, this is a story of guilt, repent, and sacrifice. Their dilapidated lives need a radical change so they can find a path to a more hopeful future. 12-year-old Pedro (newcomer Reggie Reyes) belongs to that group of people who don't take insults lying down. He lives in a tough neighborhood of Caracas and spends most of the day in the company of his neighbor and best friend Jonny, barely seeing his single father, Andres (Giovanni García), a hardworking man who returns home only to sleep a few hours. Even though money is around, food is not abundant. An adversity they have to pull through on a daily basis. One day, Pedro and Jonny got in a fight with a kid from the slums who had approached them with a gun to steal their cellphones. In an impulse of self-defense, Pedro slashes the kid’s neck with a piece of glass. Regardless if the boy lived or died, now their lives are in great danger. Aware of this fact, Andres, even running from job to job, tries the best he can to protect his only son. In turn, Pedro sees his progenitor as a weak man and keeps acting wild and disrespectful. The solution is to leave the block and then try to obtain more information from a safe place while letting things calm down. The young Reyes stands out and the production values are strong, with a well-deserved special mention for the cinematography of Luis Armando Arteaga (Ixcanul; The Heiresses). Alice Rohrwacher keeps up the remarkable directorial career initiated in 2011 with Corpo Celeste and followed by The Wonders in 2014. 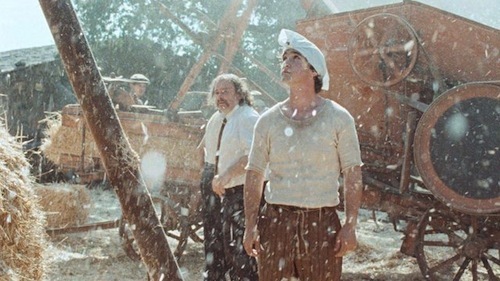 Communicating with a superbly controlled cinematic language, the Italian director conjures up a surreal folktale in her third feature, Happy As Lazzaro, in which tradition and contemporaneity splice together with tribulation and grief. Written in a somewhat prophetic way and told with a Visconti-like conviction, the film depicts the methodical life and daily struggles of the few naive sharecroppers that inhabit Inviolata, a mountainous off-the-beaten-track village. Among the youngest natives are Lazzaro (Adriano Tardiolo) and Antonia (director’s sister Alba Rohrwacher). The former, a pure-hearted young man who never complains about anything, is constantly solicited by those who need help, while the latter was selected to be the servant of the Marquise Alfonsina de Luna (Nicoletta Braschi), queen of cigarettes and wealthy proprietor of the local estate. Shamefully, the Marquise exploits the villagers with the help of Nicola (Natalino Balasso), a tricky trader, who devours the bread and wine of the humble locals without giving them a cent in exchange. If anyone gets pretty bored around there, that person is Tancredi (Luca Chikovani), the Marquise’s rebellious son, who calls his mother a torturer. He forges an unlikely friendship with Lazzaro at the same time that simulates his own kidnapping. Leaving the village is considered disrespect to the family and requires the Marquise's consent, but when Lazzaro wakes up from a long sleep, which epitomizes his own death, he finds no one but two burglars in the Marquise’s now decrepit house. One of the men is Pippo, Antonia’s son, but he is grown up and unrecognizable. Lazzaro, who didn’t age during all the years that have passed, reconnects with his family again in an unexplored city, where they struggle to survive. Either considered a ghost or a saint, Lazzaro searches for an adult Tancredi (Tommaso Ragno) and eventually finds him at the time he was trying to fraudulently sell Inviolata, now a property of the bank. Both got very happy with the reconnection, but modern society is a tough ‘place’ to live. Unfitted and misunderstood, our placid young star shed tears, suffering with his new reality. 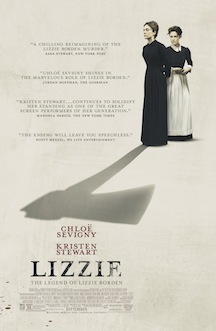 Reinforced by the story of the saint and the wolf, the film counterpoints subjugation and freedom, in a thoughtful coupling between the mundane and the fantastic. Rohrwacher’s ability to acknowledge pain without being depressing is an asset, and her work is nothing less than a seductive elegy that overflows with imagination and pulsating heart. Despite the idyllic nature of great part of the story, the pace was never affected. In fact, it was often used to lure and hypnotize in conjunction with the powerful images. It was curious to observe that, even being exploited, the hard-working peasants were so much happier in the countryside, where the economic factors were never the main reasons to exist. Not eschewing subtly wry humor, this depiction of irreparable loss, is an eye-opener for the strange direction the world is taking these days. Rohrwacher’s work is brilliant and very much recommended. Versatility and competence are two valuable attributes of Mexican writer/director Alfonso Cuarón, demonstrated in peculiar works like Y Tu Mama Tambien (2001), Children of Men (2006), and Gravity (2013). 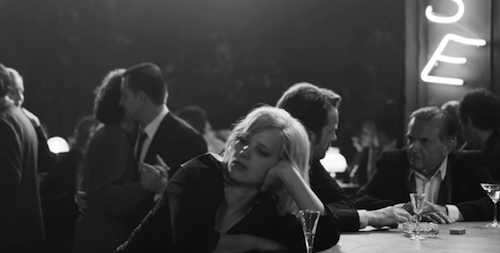 Yet, none of the above delivered so much personal intimacy and cinematic maturity as Roma, a flawlessly shot drama based on his childhood memories when he was living in Mexico City’s Colonia Roma neighborhood in the early 1970s. The story focuses on Cleo (Yalitza Aparicio), a humble Mixtec maid working for a middle-class family nearly shattered by the absence of its patriarch, Antonio (Fernando Grediaga), a respected doctor. At the moment that this man decided to abandon the household, his wife Sofia (Marina de Tavira) takes the responsibility of raising four children with the priceless help of Cleo, who also shares other domestic duties with her co-worker Adela (Nancy García García). The camera captures the routines and dynamics of the family through glorious black-and-white frames polished to compositional precision. The extraordinary cinematography is credited to the director himself, who also co-produced and co-edited. Concurrently, we follow Cleo’s personal problems with her boyfriend, Fermin (Jorge Antonio Guerrero), an immature thug from the slums and martial arts practitioner, who dumps her ruthlessly in the same minute she informs him about a possible pregnancy. Taken by frustration and disappointment, the two vulnerable women lean on each other, forging a moving companionship where there is no place for social class stratification. All the guilt, trauma, and pain are attenuated by the love and warmth within the family, regardless of the difficulties that might exist. Sofia and Cleo are brave women, whom Cuarón wanted to thank and honor. And he did it marvelously. The simple and realistic storytelling discloses individual complexities that made me care for these characters with all my soul. The touching finale is one of the most powerful scenes of a deeply humane film where hope triumphs in times of adversity. While the performances are immaculately genuine, Cuarón’s unparalleled direction convinced me in every aspect since he never loses focus with trivialities. Every scene is there for a purpose, not by chance. Despite the evocation of another time, connections with the current state of the world can also be established in Roma, an illuminated tale of gratitude and one of the most gratifying experiences I’ve had this year in a theater. 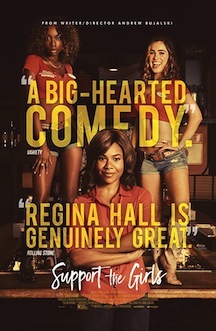 Tyrel is a totally missed shot by Chilean director Sebastián Silva, whose past releases alternate between the delightful (The Maid; Crystal Fairy) and the mediocre (Magic Magic; Nasty Baby). We’re living complicated times where racial tensions keep escalating and symptoms of fear, anxiety, and violence are visibly abundant. Aware of all this, Silva wrote a plot that is conceptually logic and unequivocal, a sort of counterpoint to Jordan Peele’s Get Out that would likely lure more adepts if less diffuse in the message and more consistent in tone. Jason Mitchell is Tyler, an African American young man who willingly joins his good friend John (Christopher Abbott) in an all-men weekend party in the Catskill Mountains. This opportunity will give him a break from certain family problems that have been bothering him lately. 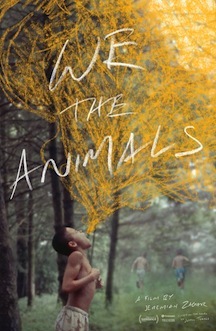 The house where they’re going to stay, owned by John’s Argentine friend Nico (Nicolas Arze), suddenly becomes jammed with a bunch of peculiar white dudes he doesn’t know. While some of the guys are nice, like Alan (Michael Cera) or Max (executive producer Max Borne), others are somewhat provocative in their behavior, cases of Peter (Caleb Landry Jones) and Dylan (Faith No More keyboardist Roddy Bottum). Frivolous conversation leads to silly games; alcohol leads to weed; everything starts rolling at a fast pace. Despite of a Trump doll hang in the living room and ready to be wrecked by torture, Tyrel becomes notably uncomfortable for being the only black person in the house. The first night was tense, yet pacific; the second, maddening wild; both were prosaically banal. In our heads, we portray all those guys as racists and sadistic bastards ready to devour Tyler just for their own amusement. But nothing ever really happens and we feel somewhat betrayed by the pointless situations created. This sense of futility and deception was magnified from the moment I noticed that, after all, movie title and main character don’t share the same name - former is Tyrel, latter is Tyler. With our alcohol-drenched hero programmed to act in paranoia mode, the film takes us to a neighboring house, where Silvia (Ann Dowd), her saxophonist husband (Reg E. Cathey), and their kid meet an afflicted Tyler. Are they the friendly type? There is probably more religious turmoil here than actually racial, and the story progresses with a nonsensical self-contentment without delivering a single thrill. It doesn’t take us too long to understand Silva’s idea, in the same manner that we realize that the aimless script is populated with under-written characters. Tyrel breaks at the weight of its own ambition, feeling like an undergraduate exercise in tension. Sadly, even that tension is wasted. Alfred Hitchcock’s Rear Window and Sidney Lumet’s 12 Angry Men are two triumphant films shot in one single room. 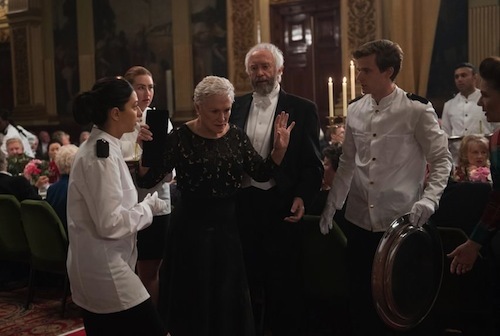 Probably drawing some inspiration from the cited classics, Swedish-born director Gustav Moller keeps things tense and intense in his debut feature The Guilty, an engrossing Danish suspenser that never leaves the building where the story takes place. Police officer Asger Holm (Jakob Cedergren, better known for Submarino and Terribly Happy) is reluctantly on duty in an emergency call center of the Copenhagen’s police department after being demoted from his usual obligations: street patrol. The reason for that is kept secret at first, but has to do with an incident under investigation. Not very popular among his colleagues, he feels extremely bored and behaves impatiently with the ceaseless phone calls he gets, most of them unimportant and with no consequence. A man that was mugged by a woman in his own car; another man who took speed and is likely hallucinating; a woman who fell from her bike and wants an ambulance for a minimal wound in her knee; and a woman journalist who wants to give him a chance to defend himself regarding the court case brought against him, are just some examples of how frustrating the job can be. Nonetheless, when he gets a desperate call from a young mother calling for help, Asger suddenly becomes active and alert. 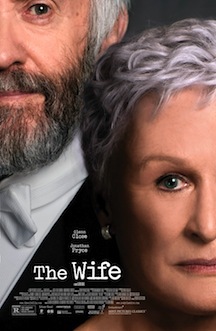 The woman, Ibsen (voice by Jessica Dinnage), was apparently kidnapped by her violent ex-husband Michael, a former convict, leaving two minor children alone at home: Mathilde, six, and Oliver, who is still a baby. From a distance, and slightly stepping the line that separates duty from emotion, Asger attempts to save the woman and hold her children in safety. While doing it, he does a self-conscious examination and even opens up about a certain conduct he is not proud of. Hence, this complex case, where nothing ends up being what it seems, is addressed by the officer in question as an opportunity for redemption. With so little, Moller extracted the most of a story he co-wrote with Emil Nygaard Albertsen, also on account of Cedergren’s flawless performance and some clever warps in the script. Sharp close-ups meticulously capture the facial details, behavioral reactions, and moments of irritation due to bureaucratic procedures or vain superior orders. All the rest is left to our imagination.